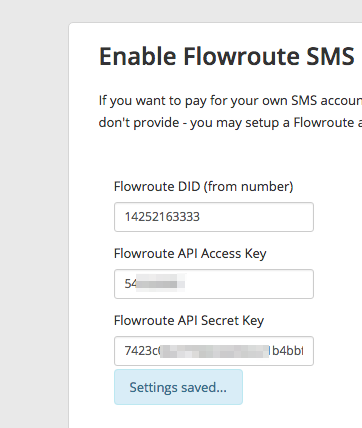 Flowroute is a leading VoIP trunking/sms/sip provider for those running a VoIP phone system that can do sip/etc - and now has a good api that allows them to be a reasonable sms on demand service. 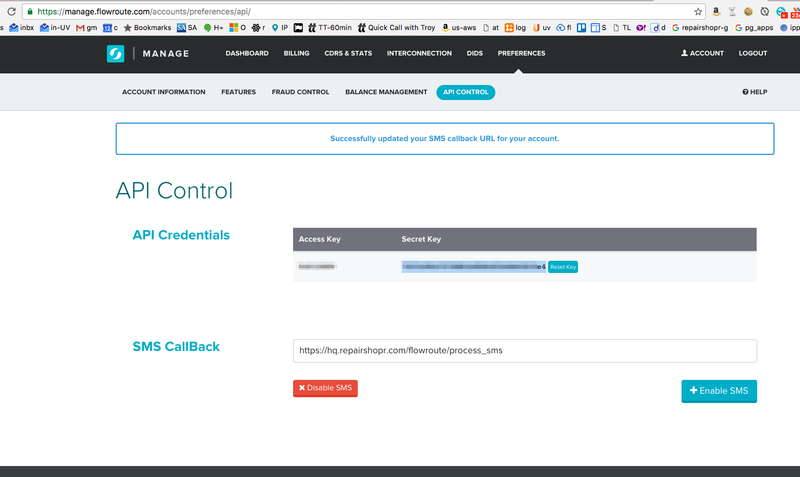 Most people using Flowroute probably use them for SIP trunking, like in a FreePBX or similar type of phone system setup - we won't get into that at all here. It tells you to enter your DID - use the format like "12065551212" per the placeholder text. That's it! 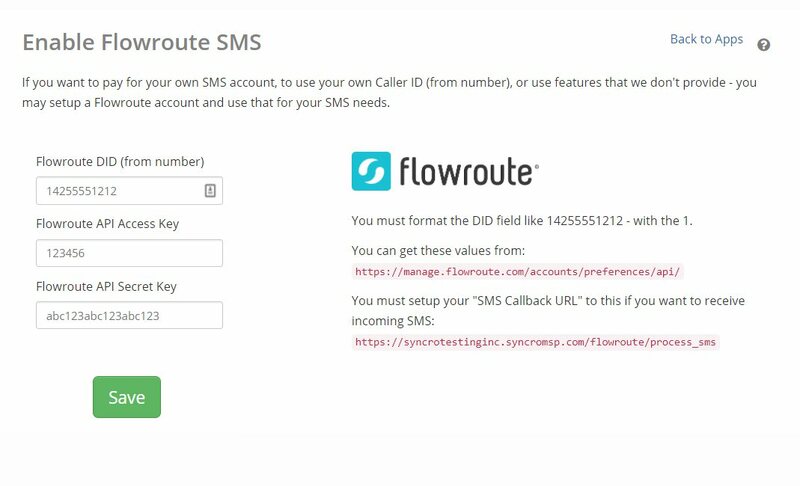 Now when you send SMS out of the application it'll use your account, won't hit any limits, and send to/from the correct phone number.